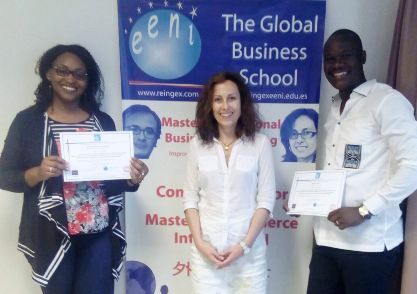 At EENI Business School & HA Independent University we have always felt that we are indebted to the world. 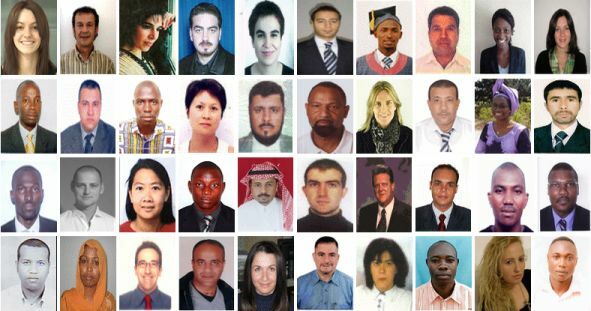 An educational institution with more than twenty years of history has to be grateful to all the students from more than one hundred countries that have trusted us. This feeling of giving back to society some of what has given to us is the “leitmotif” of our corporate social responsibility policy, our commitment to humanity. 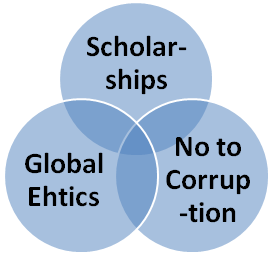 We want to help to eradicate the scourge of corruption in foreign trade value chain. The World Bank has estimated that if we were able to eliminate corruption, the child mortality in the World would drop by 75 percent. Why we allow corruption to exist? 3- Project “Global Ethics, Religions, and International Business” - Towards the Ahimsa Company. An example of the project “Global Ethics, Religions, and Business”: Hinduism spiritual leader (Gandhi) inspires a Muslim Businessman. We also have developed the project AFRICAN EXPORT. It is important to point out that all these actions are financed exclusively with our resources; we have never received any Government subsidy or public aid. I want to thank all the people who work at EENI that support all these initiatives because without them it would not be possible. I sincerely believe that giving back to society part of what has given to us, allows us to be better every day and heading slowly to what I have called the EENI Business School & HA University Ahimsa (Non-Violence) vision. Pedro Nonell - Founder of EENI Business School & HA University.